October 2007-present - Professor of Plant Pathology, Division of Plant Sciences, College of Life Sciences, University of Dundee (at the James Hutton Institute). 2002-2007 - Molecular Plant Pathologist (Band 4), SCRI. 1999-2002 - Molecular Plant Pathologist (Band 5), SCRI. 1995-1999 - Molecular Plant Pathologist (Band 6), SCRI. To be a successful pathogen, microbes need to suppress or otherwise manipulate host defences. For this, they secrete proteins and other chemicals that can interact with the host cell. In some cases, these virulence determinants are translocated inside host cells where they re-programme defences and metabolism to the pathogen’s benefit. My group focuses the oomycete late blight pathogen of potato, Phytophthora infestans. We are particularly interested in ‘effector’ proteins that are translocated inside the host cell, in the mechanisms by which they are delivered and the means by which they are regulated in P. infestans. We want to know when they are needed and where they are localised during infection. We want to know the mode of action of such virulence determinants: what are their host targets and what roles do those targets play in plant defence, development or metabolism? We also want to identify those effectors that are recognised by resistance proteins in wild potato and non-host plants, and to elucidate the precise mechanisms underpinning recognition. Jim Beynon (University of Warwick, UK). Teresa Coutinho, Dave Berger, Lucy Moleleki, Noelani van den Berg (University of Pretoria, South Africa). Francine Govers (Wageningen University, Netherlands). Howard Judelson (University of California, Riverside, USA). Sophien Kamoun, Jonathan Jones (The Sainsbury Laboratory, JIC, UK). Veronique Lefebvre (INRA, Avignon, France). Juan Morales (National University of Colombia, Medellin, Colombia). Ari Sadanandom (University of Durham, UK). Vivianne Vleeshouwers (Wageningen University, Netherlands). 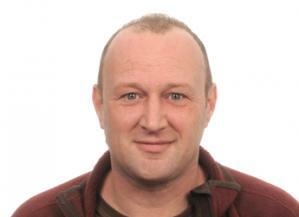 Pieter van West (University of Aberdeen, UK). Bielska, E.; Birch, P.R.J. ; Buck, A.H.; Abreu-Goodger, C.; Innes, R.W. ; Jin, H.; Pfaffl, M.W. ; Robatzekh, S.; Regev-Rudzki, N.; Tisseranth, C.; Wang, S.; Weiberg, A. (2019) Highlights of the mini-symposium on extracellular vesicles in inter-organismal communication, held in Munich, Germany, August 2018., Journal of Extracellular Vesicles, 8, Article No. 1590116. He, Q.; McLellan, H.; Hughes, R.K.; Boevink, P.C. ; Armstrong, M.; Lu, Y.; Banfield, M.J.; Tian, Z.; Birch, P.R.J. (2019) Phytophthora infestans effector SFI3 targets potato UKB to suppress early immune transcriptional response., New Phytologist, 222, 438-454. Wang, H.X. ; He, H.; Qi, Y.T. ; McLellan, H.; Tian, Z.J. ; Birch, P.R.J. ; Tian, Z.D. (2019) The oomycete microbe-associated molecular pattern Pep-13 triggers SERK3/BAK1-independent plant community., Plant Cell Reports, 38, 173-182. Thilliez, G.J.A. ; Armstrong, M.R. ; Lim, T.Y. ; Baker, K.; Jouet, A.; Ward, B.; van Oosterhout, C.; Jones, J.D.G. ; Huitema, E.; Birch, P.R.J. ; Hein, I. (2019) Pathogen enrichment sequencing (PenSeq) enables population genomic studies in oomycetes., New Phytologist, 221, 1634-1648. Wang, S.M. ; Welsh, L.; Thorpe, P.; Whisson, S.C.; Boevink, P.C. ; Birch, P.R.J. (2018) The Phytophthora infestans haustorium is a site for secretion of diverse classes of infection-associated proteins., MBIO, 9, Article No. e01216-18. Lilley, C.J. ; Maqbool, A.; Wu, D.; Yusup, H.B. ; Jones, L.M. ; Birch, P.R.J. ; Banfield, M.J.; Urwin, P.E. ; Eves-van den Akker, S. (2018) Effector gene birth in plant parasitic nematodes: Neofunctionalization of a housekeeping glutathione synthetase gene. , PLoS Genetics, 14, Article No. e1007310. Zheng, X.Z. ; Wagener, N.; McLellan, H.; Boevink, P.C. ; Hua, C.L. ; Birch, P.R.J. ; Brunner, F. (2018) Phytophthora infestans RXLR effector SFI5 requires association with calmodulin for PTI/MTI suppressing activity., New Phytologist, 219, 1433-1446. Thordal-Christensen, H.; Birch, P.R.J. ; Spanu, P.D. ; Panstruga, R. (2018) Why did filamentous plant pathogens evolve the potential to secrete hundreds of effectors to enable disease?, Molecular Plant Pathology, 19, 781-785. Wang, H.X. ; Chen, Y.L. ; Wu, X.T. ; Long, Z.S. ; Sun, C.L. ; Wang, H.R. ; Wang, S.M. ; Birch, P.R.J. ; Tian, Z.D. (2018) A potato STRUBBELIG-RECEPTOR FAMILY member, StLRPK1, associates with StSERK3A/BAK1 and activates immunity., Journal of Experimental Botany, 69, 5573-5586. Murphy, F.; He, Q.; Armstrong, M.; Giuliani, L.M. ; Boevink, P.C. ; Zhang, W.; Tian, Z.; Birch, P.J. ; Gilroy, E.M. (2018) The potato MAP3K StVIK is required for Phytophthora infestans RXLR effector Pi17316 to promote disease., Plant Physiology, 177, 398-410. He, Q.; Naqvi, S.; McLellan, H.; Boevink, P.C. ; Champouret, N.; Hein, I.; Birch, P.R.J. (2018) Plant pathogen effector utilizes host susceptibility factor NRL1 to degrade the immune regulator SWAP70., Proceedings of the National Academy of Sciences of the USA, 115, E7834-E7843. Wang, S.; Boevink, P.C. ; Welsh, L.; Zhang, R.F. ; Whisson, S.C.; Birch, P.R.J. (2017) Delivery of cytoplasmic and apoplastic effectors from Phytophthora infestans haustoria by distinct secretion pathways., New Phytologist, 216, 205-215. Franco-Orozco, B.; Berepiki, A.; Ruiz, O.; Gamble, L.; Griffe, L.L. ; Wang, S.M. ; Birch, P.R.J. ; Kanyuka, K.; Avrova, A. (2017) A new proteinaceous pathogen-associated molecular pattern (PAMP) identified in Ascomycete fungi induces cell death in Solanaceae., New Phytologist, 214, 1657-1672. Orosa, B.; He, Q.; Mesmar, J.; Gilroy, E.M.; McLellan, H.; Yang, C.W. ; Craig, A.; Bailey, M.; Zhang, C.J. ; Moore, J.D. ; Boevink, P.C. ; Tian, Z.D. ; Birch, P.R.J. ; Sadanandom, A. (2017) BTB-BACK domain protein POB1 suppresses immune cell death by targeting ubiquitin E3 ligase PUB17 for degradation., PLoS Genetics, 13, Article No. e1006540. Eves-van de Akker, S.; Birch, P.R.J. (2016) Opening the effector protein toolbox for plant-parasitic cyst nematode interactions., Molecular Plant, 9, 1451-1453. Whisson, S.C.; Boevink, P.C. ; Wang, S.M. ; Birch, P.R.J. (2016) The cell biology of late blight disease., Current Opinion in Microbiology, 34, 127-135. Kwenda, S.; MotIolometsi, T.V. ; Birch, P.P.J. ; Moleleki, L.N. (2016) RNA-seq profiling reveals defense responses in a tolerant potato cultivar to stem infection by Pectobacterium carotovorum ssp brasiliense., Frontiers in Plant Science, 7, Article No. 1905. Yang, L.; McLellan, H.; Naqvi, S.; Qin, He. ; Boevink, P.C. ; Armstrong, M.; Giuliani, L.M. ; Zhang, W.; Tian, Z.; Zhan, J.; Gilroy, E.M.; Birch, P.J.R. (2016) Potato NPH3/RPT2-Like protein StNRL1, targeted by a Phytophthora infestans RXLR Effector, is a susceptibility factor., Plant Physiology, 171, 645-657. Boevink, P.C. ; McLellan, H.; Gilroy, E.M.; Naqvi, S.; He, Q.; Yang, L.N. ; Wang, X.D. ; Turnbull, D.; Armstrong, M.R. ; Tian, Z.D. ; Birch, P.R.J. (2016) Oomycetes seek help from the plant: Phytophthora infestans effectors target host susceptibility factors., Molecular Plant, 9, 636-638. Boevink, P.C. ; Wang, X.D. ; McLellan, H.; He, Q.; Naqvi, S.; Armstrong, M.R. ; Zhang, W.; Hein, I.; Gilroy, E.M.; Tian, Z.D. ; Birch, P.R.J. (2016) A Phytophthora infestans RXLR effector targets plant PP1c isoforms that promote late blight disease., Nature Communications, 7, Article No. 10311. Kwenda, S.; Gorshkov, V.; Ramesh, A.M.; Naidoo, S.; Rubagotti, E.; Birch, P.R.J. ; Moleleki, L.N. (2016) Discovery and profiling of small RNAs responsive to stress conditions in the plant pathogen Pectobacterium atrosepticum., BMC Genomics, 17, Article No. 47. Du, Y.; Mpina, M.H. ; Birch, P.R.J. ; Bouwmeester, K.; Govers, F. (2015) Phytophthora infestans RXLR effector AVR1 interacts with exocyst component Sec5 to manipulate plant immunity., Plant Physiology, 169, 1975-1990. Wang, X.D. ; Boevink, P.; McLellan, H.; Armstrong, M.; Bukharova, T.; Qin, Z.W. ; Birch, P.R.J. (2015) A host KH RNA-binding protein is a susceptibility factor targeted by an RXLR effector to promote late blight disease., Molecular Plant, 8, 1385-1395. He, Q.; McLellan, H.; Boevink, P.C. ; Sadanandom, A.; Xie, C.H. ; Birch, P.R.J. ; Tian, Z.D. (2015) U-box E3 ubiquitin ligase PUB17 acts in the nucleus to promote specific immune pathways triggered by Phytophthora infestans., Journal of Experimental Botany, 66, 3189-3199. Fry, W.E. ; Birch, P.R.J. ; Judelson, H.S. ; Grunwald, N.J.; Danies, G.; Everts, K.L. ; Gevens, A.J. ; Gugino, B.K. ; Johnson, D.A. ; Johnson, S.B. ; McGrath, M.T. ; Myers, K.L. ; Ristaino, J.B.; Roberts, P.D. ; Secor, G.; Smart, C.D. (2015) Five reasons to consider Phytophthora infestans a reemerging pathogen., Phytopathology, 105, 966-981. Kamoun, S.; Furzer, O.; Jones, J.D.G. ; Judelson, H.S. ; Ali, G.S. ; Dalio, R.J.D. ; Roy, S.G.; Schena, L.; Zambounis, A.; Panabieres, F.; Cahill, D.; Ruocco, M.; Figueiredo, A.; Chen, X.R. ; Hulvey, J.; Stam, R.; Lamour, K.; Gijzen, M.; Tyler, B.M. ; Grunwald, N.J.; Mukhtar, M.S. ; Tome, D.F.A. ; Tor, M.; Van den Ackerveken, G.; McDowell, J.; Daayf, F.; Fry, W.E. ; Lindqvist-Kreuze, H.; Meijer, H.J.G. ; Petre, B.; Ristaino, J.; Yoshida, K.; Birch, P.R.J. ; Govers, F. (2015) The top 10 oomycete pathogens in molecular plant pathology., Molecular Plant Pathology, 16, 413-434. Feechan, A.; Turnbull, D.; Stevens, L.J. ; Engelhardt, S.; Birch, P.R.J. ; Hein, I.; Gilroy, E.M. (2015) The hypersensitive response in PAMP- and effector-triggered immune responses., In: Gunawardena, A. & McCabe, P. (eds.). Plant Programmed Cell Death. Springer, New York, Chapter 10, pp235-258. Pritchard, L.; Birch, P.R.J. (2014) The zigzag model of plant-microbe interactions: is it time to move on?, Molecular Plant Pathology, 15, 865-870. King, S.R.F. ; McLellan, H.; Boevink, P.C. ; Armstrong, M.R. ; Bukharova, T.; Sukarta, O.; Win, J.; Kamoun, S.; Birch, P.R.J. ; Banfielda, M.J. (2014) Phytophthora infestans RXLR Effector PexRD2 interacts with Host MAPKKK epsilon to suppress plant immune signaling., The Plant Cell, 26, 1345-1359. Zheng, X.; McLellan, H.; Fraiture, M.; Liu, X.; Boevink, P.C. ; Gilroy, E.M.; Chen, Y.; Kandel, K.; Sessa, G.; Birch, P.R.J. ; Brunner, F. (2014) Functionally redundant RXLR effectors from Phytophthora infestans act at different steps to suppress early flg22-triggered immunity., PLoS Pathogens 10, Article No. e1004057. Boevink, P.; McLellan, H.; Bukharova, T.; Engelhardt, S.; Birch P.R.J. (2014) In vivo protein-protein interaction studies with BiFC: conditions, cautions, and caveats., In: Birch, P.R.J., Jones, J.T. & Bos, J.I.B. (eds.). Plant-Pathogen Interactions: Methods and Protocols. Methods in Molecular Biology, Humana Press, New York, 2nd ed. Volume 1127, Chapter 6, 81-90. Birch, P.; Jones, J.; Bos, J.I. (eds). (2014) Plant-pathogen interactions: methods and protocols., Methods in Molecular Biology, Volume 1127. 2nd edition, Humana Press, New York, 306pp. McLellan, H.; Boevink, P.C. ; Armstrong, M.R. ; Pritchard, L.; Gomez, S.; Morales, J.; Whisson, S.C.; Beynon, J.L. ; Birch, P.R.J. (2013) An RxLR effector from Phytophthora infestans prevents re-localisation of two plant NAC transcription factors from the endoplasmic reticulum to the nucleus., PLoS Pathogens, 9, Article No. e1003670. Engelhardt, S.; Boevink, P.C. ; Armstrong, M.R. ; Ramos, M.; Hein, I.; Birch, P.R.J. (2012) Relocalization of late blight resistance protein R3a to endosomal compartments is associated with effector recognition and required for the immune response., The Plant Cell, 24, 5142-5158. Birch, P.R.J. ; Coates, M.; Beynon, J. (2012) Evolution of virulence in oomycete plant pathogens., In: Howlett, B., Heitman, J. & Sibley, D. (eds.). Evolution of Virulence in Eukaryotic Microbes. Wiley Press, pp387-403. Boevink, P.; Birch, P.R.J. ; Whisson, S.C. (2011) Imaging fluorescently tagged Phytophthora effector proteins inside infected plant tissue., In: McDowell, J.M. (ed.). Methods in Molecular Biology Plant Immunity: Methods and Protocols. Humana Press, Totowa, New Jersey, USA, Chapter 712, pp195-209. Birch, P.R.J. ; Avrova, A.O. (2009) Gene expression profiling., In: Lamour, K.H. & Kamoun, S. (eds.). Oomycete Genetics and Genomics: Diversity, Interactions and Research Tools. Wiley-Blackwell, Hoboken, New Jersey, USA, 477-492. Birch, P.R.J. ; Avrova, A.O. ; Dellagi, A.; Lacomme, C.; Santa Cruz, S.; Lyon, G.D. (2000) To die and let live: programmed cell death in plants in response to pathogen attack., In: Molecular Plant Pathology (eds. M. Dickinson and J. Beynon). Annual Plant Reviews, Sheffield Academic Press, Sheffield, Volume 4, pp175-197. Hein, I.; Birch, P.R.J. ; Chapman, S.N. ; Bryan, G.J. (2011) Pathogen effector driven search for more durable potato late blight resistance., Annual Report of the Scottish Crop Research Institute for 2010, pp38-40. Avrova, A.O. ; Birch, P.R.J. ; Hein, I.; Jones, J.T. ; Pritchard, L. (2010) Functional analysis of pathogen effectors: how to go from genomics to durable resistance., Annual Report of the Scottish Crop Research Institute for 2009, 39-41. Whisson, S.C.; Boevink, P.; Pritchard, L.; Avrova, A.O. ; Morales, J.; Birch, P.R.J. (2006) Effector protein translocation in the Phytophthora infestans - potato infection., Annual Report of the Scottish Crop Research Institute for 2006, pp24-25. Whisson, S.C.; Avrova, A.O. ; Armstrong, M.R. ; Jones, J.T. ; Venter, E.; Birch, P.R.J. (2004) Targeting late blight with gene discovery., Annual Report of the Scottish Crop Research Institute for 2002/2003, pp102-103. Hrubikova, K.; Gilroy, E.M.; Faivre-Rampant, O.; Loake, G.; Birch, P.R.J. ; Taylor, M.A. ; Lacomme, C. (2003) Viral induced gene silencing in crop species., Annual Report of the Scottish Crop Research Institute for 2002/2003, pp98-99. Whisson, S.C.; Avrova, A.O. ; Armstrong, M.R. ; Campbell, E.; Birch, P.R.J. (2002) Late blight of potato: Pathogen genomics approaches to a continuing problem., Annual Report of the Scottish Crop Research Institute for 2001/2002, pp29-32. Whisson, S.C.; van der Lee, T.; Bryan, G.J. ; Waugh, R.; Govers, F.; Birch, P.R.J. (2001) Phytophthora infestans genomics: positional cloning of avirulence genes., Annual Report of the Scottish Crop Research Institute for 2000/2001, pp132-135. De Jong, W.; Davidson, J.; Bryan, G.J. ; Birch, P.R.J. ; Waugh, R.; Marshall, D.F. (2000) Gene discovery in potato., Annual Report of the Scottish Crop Research Institute for 1999/2000, pp105-107.